The Fringe made its mark on Gawler with a range of events taking place across the Town for the month of the Adelaide Fringe (15 February – 17 March, 2019). 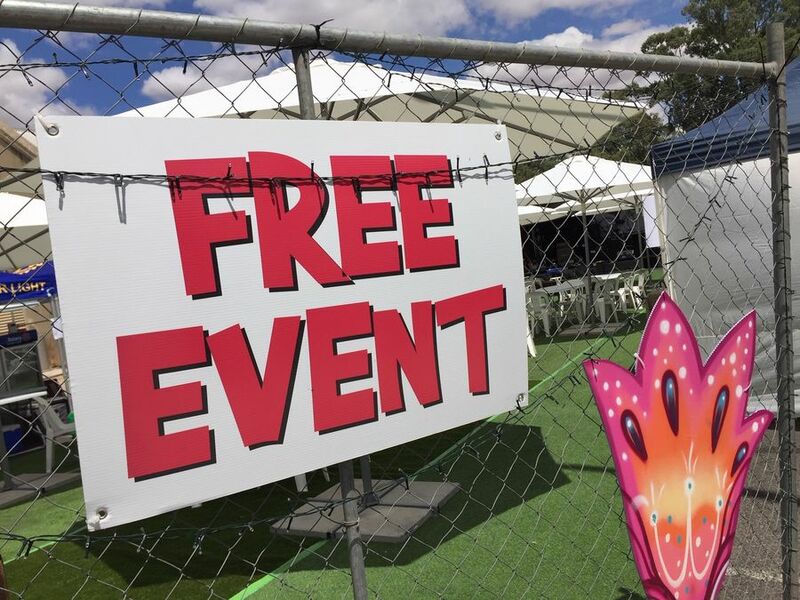 The Gawler Fringe Event again kicked off the fun in Walker Place from Friday 15 to Sunday 17 February, 2019. The event was a huge success, providing a weekend full of free Fringe festivities. The event program highlighted an assortment of great local talent including many well-known faces and some new ones too, and saw performances by community groups, solo artists, duos, choirs, bands, comedians and circus performers. Stand out performances included The Schneeblys on Friday night, Matt Launer and the Abbey Roadsters and then Lily and the Drum on the Saturday night. The school performances and open mic session on the Sunday were also very popular. A highlight of the Gawler Fringe Event is that the vast majority of performers are local to Gawler and the Gawler community is extremely proud and supportive of its local talent. The Event is family friendly and offers something for everyone of all ages, with many people and families attending the whole weekend. It’s wonderful to see such a mix of community members come together to enjoy the entertainment and get involved. The Fringe is a great time of year with lots of activity happening around Gawler. The community can get involved and experience what Gawler does best; fantastic local entertainment, a relaxed family-friendly environment, food and drinks from Gawler’s local businesses and service clubs, all mixed with a friendly small town vibe. A range of other events also occur at different venues in Gawler right across the month of Adelaide Fringe.